Accubow 2019 is a revolutionary update from its older version. This app features all new bow sight customization, updated graphics, moving targets, bowfishing mode, variable difficulty settings and realistic bowhunting environments all over the world! This game requires accubow hardware to properly operate. 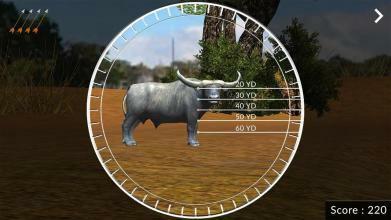 You can purchase the AccuBow equipment at https://www.accubow.com BOWHUNTING MODE Offers realistic environments around the world with moving animals that are specific to that geographic region. 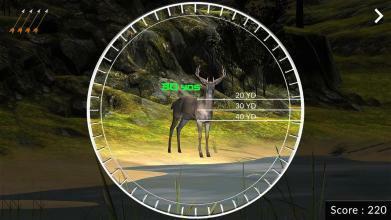 BOWFISHING MODE Offers a realistic interface standing on the edge of a boat and looking down at moving fish targets swimming in the water below. COMPETITIVE TARGET SHOOTING Offers 3 different competitive styles that offer challenges for beginners and advanced archers. 3D TARGET SHOOTING Offers static animal targets with realistic 3d vital scoring regions placed on animal targets at varying distances. BOW SIGHT CUSTOMIZATION In order to further customize your preferences, you can customize your bow sight interface with anywhere from 0-5 pins. You can program the yardages of your pins to mimic your real life bow setup and improve your accuracy when shooting at the in-game targets. DIFFICULTY SETTINGS Think you’ve mastered the AccuBow? You can elect to turn on variable wind settings and hide/reveal animals vital scoring regions in order to adjust the difficulty of gameplay. The first of its kind, Accubow 2019 creates the perfect environment for practice and precision by using state-of-the-art technology to measure accuracy in a realistic simulation! PLEASE NOTE: This App is free to download and play within the shooting modes that are unlocked upon download. There is in-app purchasing available for one-time purchases which will unlock certain 3d targets shooting, bowhunting, and bowfishing modes: For optimal use, please make sure that your phone is properly attached to your AccuBow according to the diagram which you can see in screenshot. AccuBow Phone Accessory will fit any size mobile device, but does not yet support tablets. 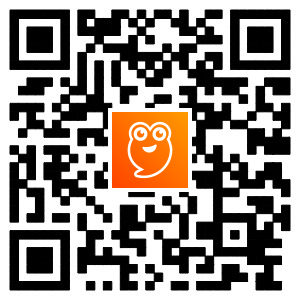 In order for shot recognition to work properly, please allow this app to access your phone’s microphone when prompted.